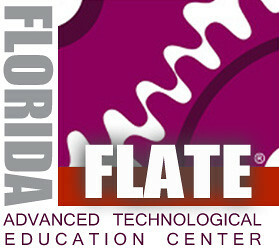 Steve and his crew are recent attendees of the Suncoast Technical College – Fastrack CNC Machining evening program. 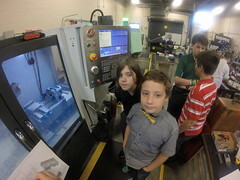 This program and the day Precision Machining program gives graduates needed NIMS metalworking credentials and well paying essential manufacturing jobs. SARASOTA – Though the most recent tax forecast indicates that revenues in the state budget will be almost $400 million less than what lawmakers had initially anticipated for next year, Gov. Rick Scott remained committed to his proposed $1 billion tax-cut plan for Florida businesses on Wednesday. 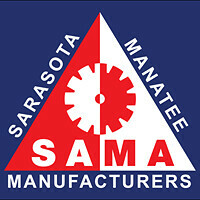 Speaking at the Sarasota injection-molding company Octex, Scott said he will pursue tax breaks for manufacturing companies such as Octex. The companies currently do not pay sales taxes on machinery purchases, but that moratorium is scheduled to expire in 2017 if Scott’s proposal is not approved. Last week, Scott wrapped up a nine-city tour touting 1 million Florida jobs created during his tenure as governor, and explaining his two-fold plan for keeping up with Florida growth: $1 billion in tax cuts and the creation of a $250 million incentive fund to support new businesses here. The tax cuts would permanently eliminate corporate income taxes for manufacturers and retailers, lower a tax on commercial leases and prevent the return of the sales taxes for manufacturing equipment, allowing organizations to hire more people, expand their companies and compete globally, Scott said. Though lawmakers across party lines have questioned whether $1 billion is a realistic figure one year after a budget standoff extended the legislative session in 2015, Scott has said a projected budget surplus calculated last fall would support his tax-cut plan. But economists this week estimated that the surplus will be almost $400 million less than anticipated, or about $1.2 billion in extra funds, an indicator that Scott’s plan could be a tougher sell for lawmakers intent on supporting various needs in education, health care and the environment. A spokeswoman for Scott called the projections a “minor reduction” and pointed out that a separate gambling pact with the Seminole tribe could generate an additional $2.3 billion over eight years. 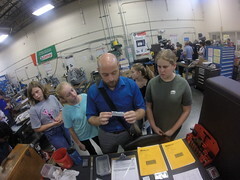 Principals at Octex, which produces items from plastic cups to defense equipment, said that the tax and regulatory environment championed by Scott in recent years has allowed officials to invest $5 million in their company during the past five years. The company regularly purchases robotic devices and $1 million machinery, and has saved $100,000 through Florida’s sales tax moratorium on such purchases in the past 14 months, said Executive Vice President John Hoskins. “We’re going to reinvest that by hiring Florida-educated engineers shortly and those interviews are going on today,” Hoskins said. Scott honored Hoskins, as well as Octex CEO Jim Westman and Chief Financial Officer Dan Mallon with the Governor’s “Business Ambassador Award,” for those who create jobs for Floridians. 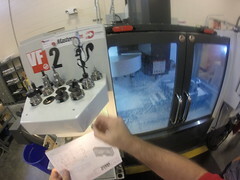 This entry was posted in Machine Shop and tagged CNC Machining, Govenor Rick Scott, Haas, Machinist, NIMS, Octex, SAMA, Sarasota, Sarasota and Manatee manufacturingAssociation, Sarasota County Technical Institute, tervis. Bookmark the permalink.